Refresh, rejuvenate & reminisce! Vacations can provide new and fascinating experiences or simply give us time for relaxation and contemplation! 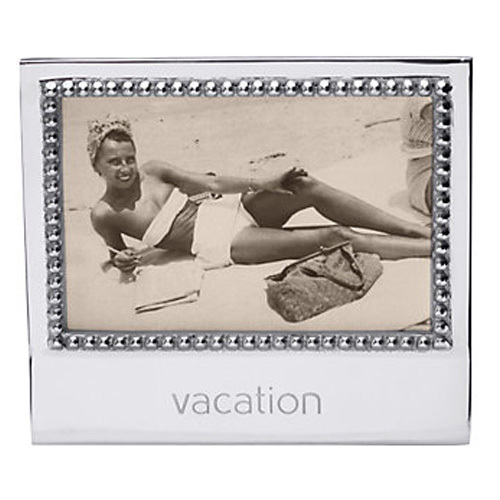 Bring the memories home, preserved and displayed elegantly in the "vacation" frame. Mariposa Vacation Frame holds a 4 x 6 picture. 6.75"W x 5.75"H.